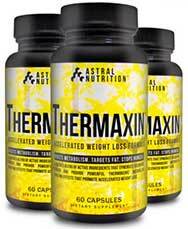 Thermaxin is a fat burning product produced in the UK by Astral Nutrition. 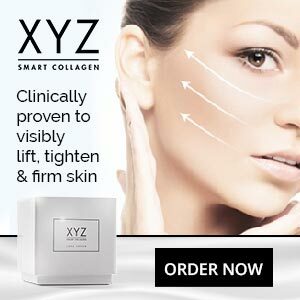 Very little is known about the company, but customer services can be contacted via a Newcastle telephone number, so it is possible they may be based somewhere in the North-East of England. It’s pretty much normal for diet pill manufacturers to get carried away when they are making claims for their products and Astral Nutrition is no exception. According to the sales page on their website, Thermaxin is the strongest appetite suppressant and thermogenic fat burner legally available. However, a claim like this would be a lot easier to believe if the company was not so eager to convince customers of the need to use Thermaxin alongside three more of their other products. If the product really is so powerful, shouldn’t it be able to go it alone? Thermaxin is designed to be used alongside a healthy diet and regular exercise and Astral Nutrition state customers who want “long lasting results” will need to continue using the product for two to three months. Two doses are required each day and should be taken with water. The normal dose is one capsule and the first dose of the day is required 30 minutes before breakfast. The second dose is taken in the afternoon, 30 minutes before a meal or training. If the capsules are tolerated well it is permissible to up the dose to two capsules two times per day. L-Tyrosine (150mg): An ingredient that is often touted to be an appetite suppressant regardless of the fact that there is no proof that it works. It has better credentials as a nootropic, and is often used for boosting alertness, but the dose provided here is too low to deliver good results. Natural Caffeine (150mg): The energy providing and focus enhancing abilities of caffeine are utilised in many brands of energy drink including Red Bull. Caffeine also helps suppress the appetite and scientific study shows it can support weight loss by increasing the metabolism and encouraging fat oxidation. Capsicum 8:1 (1000mg): Research shows supplementation with capsicum can boost the metabolism and improve fat burning capabilities. At first glance this looks to be a high dose, but it appears to be an 8:1 concentrate. If it is, the real dose will be only 125mg that allegedly has 8 times the power of normal capsicum (8×125 = 1000). Concentrates like this are becoming increasingly popular, but it is impossible to say if if they are as potent as diet pill manufacturers claim. Green Coffee Bean 40:1 (1000mg): The active ingredient in green coffee bean extract (chlorogenic acid) can assist weight loss by controling hunger cravings, but its abilities as an appetite suppressant are far surpassed by its powers as a metabolism booster and fat burner. However, in this case Astral Nutrition are claiming a 40:1 concentrate; and cramming 1000mg (25×40 = 1000) of fat burning power into 25mg of concentrate would take some doing. Green Tea 20:1 (500mg): The proven fat burning abilities of green tea have allowed it to become one of the most respected weight loss ingredients in the world. A 500mg dose of green tea is not to be sniffed at, but this is a 25mg dose that is alleged to have 20 times the power. Chromium (200mcg): A mineral that assists weight loss by helping prevent the sugar spikes that can trigger cravings for sweet food and drinks. Iodine (150mcg): Iodine supports thyroid health and helps ensure the body has a sufficient supply of the “T” hormones that are needed for an efficient metabolism. Black Pepper Extract (5mg): The piperine alkaloid provided by black pepper has the ability to help other ingredients be absorbed more easily. The Astral Nutrition website contains a number of positive reviews, but feedback posted at such a biased source is not to be relied upon and we were unable to find any independent reviews. Thermaxin is not intended for pregnant or nursing mothers. People who have existing health problems, or are taking medication, are advised to check with their GP prior to using Thermaxin or any other brand of supplement. 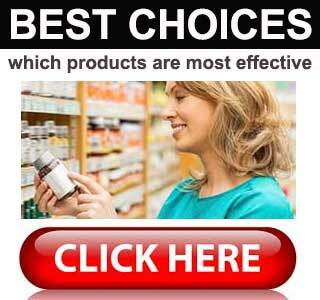 The best place to buy Thermaxin is from the Astral Nutrition website. 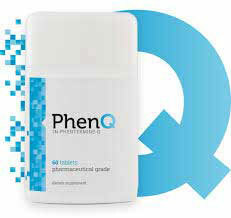 Each bottle contains 60 capsules and generally retails at £24.99. Astral Nutrition does not provide a money back guarantee. Astral Nutrition claim their product can assist weight loss by speeding up the metabolism, reducing the appetite, and fighting fatigue. The ingredients chosen for use in the formulation should provide the pills with these abilities—but only in theory. It is very easy to scrimp on ingredients and use the excuse that they are super-concentrated versions. The concentrates may have value, but then again they may not. Customers would have to take it on faith and, with no money back guarantee to act as a safety net, its a chance many dieters may be unwilling to take.